I had a very productive afternoon today! I got home from work and went straight into basting this quilt. I had the quilt basted and ready for quilting in about a half hour, so I just went ahead and started quilting! I wanted to do a really loose initial quilt pattern that was soft and wave-like. I got half of the quilt top done with this looser pattern and then I went back and started to fill in detail between the waves. I am really looking forward to working on this quilting more this weekend! 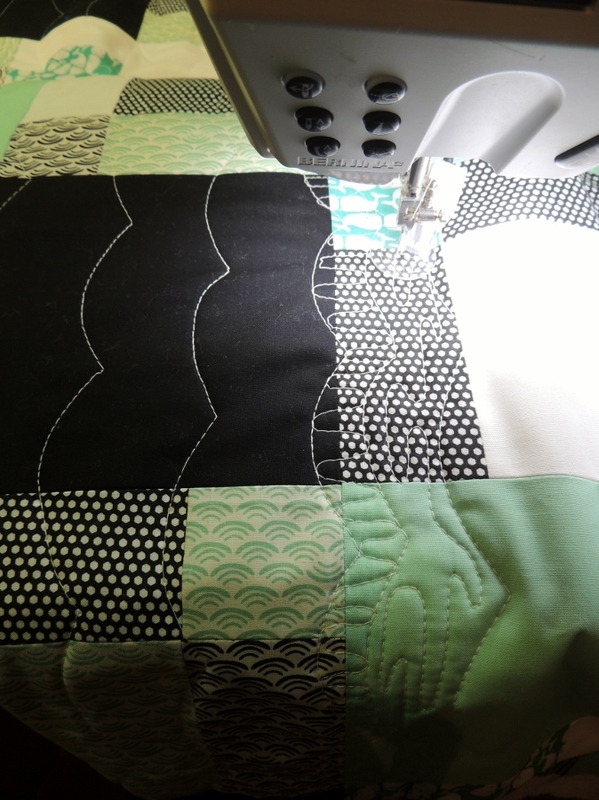 Whale of a Time – Quilting! I also got to go on a 4 mile walk with my husband tonight. All in all, a very productive and lovely evening. 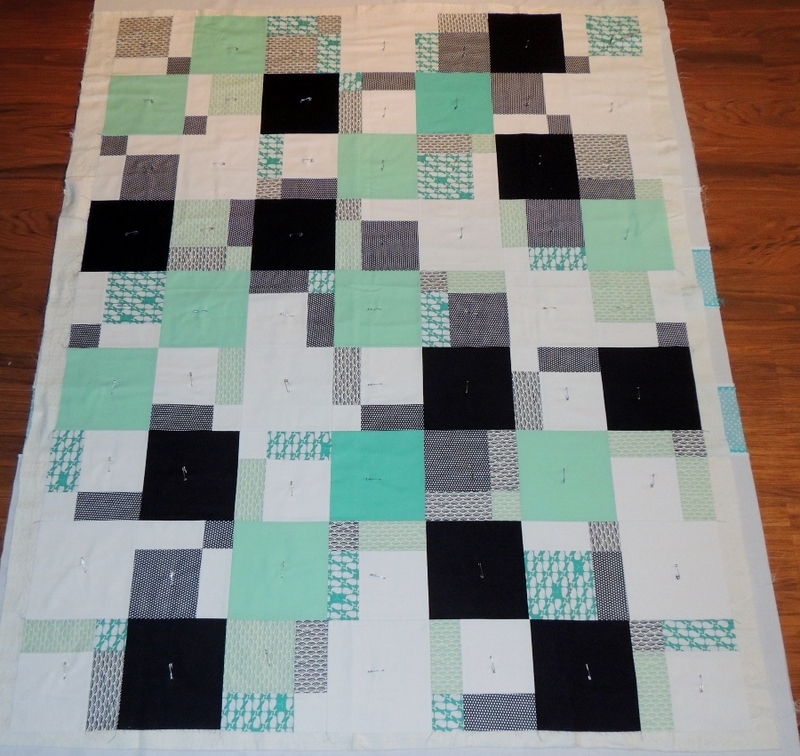 Linking up to Freshly Pieced’s WiP Wednesday. I love the colors and the pattern in this quilt! Can’t wait to see it once you finish the quilting ~ looks very interesting!